SureCrete’s TruCast™ concrete colored hardener is premixed, dry-shake, colored powder concrete hardener. It is used for coloring and hardening freshly placed concrete flatwork to produce an aesthetically pleasing pavement with a surface that is substantially harder and more wear-resistant than regular concrete. This coloring method can be utilized for concrete applications (salt finishes, broom finishes, rotary finishes, etc. ), as well as vertical surfaces and other types of architectural concrete. 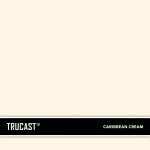 Extensive quality control measures ensure uniformity of color and virtually eliminate color drifts. 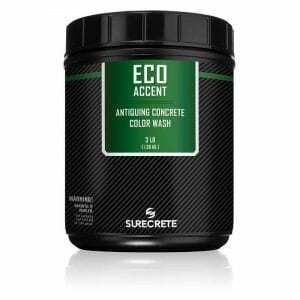 SureCrete’s dry shake concrete color hardener, a blend of specially selected and grated hard aggregated, architectural cement, plasticizers and synthetic oxide pigment, produces a brilliant, streak-free, non-fading, wear-resistant surface including stamped cement. Why SureCrete’s TruCast™ Concrete Color Hardener? Our cement color hardener powder pigments have been formulated for better UV stability and longevity than is typically expected out of currently available color hardeners. 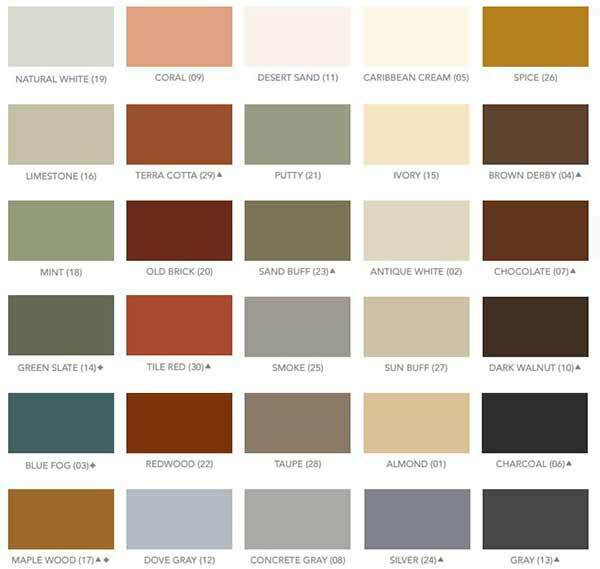 Color Hardeners can be used to dramatically increase the vibrant color depth of any decorative concrete surface you are working with. Typically associated with stamped concrete projects, the use of dry powder color hardener can be a more cost-effective tinting product to use in lieu of integrally coloring an entire slab. 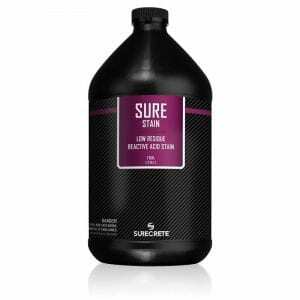 How Do You Apply SureCrete Color Hardener Topical Powder Tinting? Color Hardener is hand broadcast evenly to the surface of freshly placed concrete when the concrete reaches the point where no bleed water remains on the surface. To develop the proper bond and sufficient density, the moisture for wetting the hardener must come from the concrete substrate. SureCrete Color Hardener applied in two shakes, with two-thirds implemented in the first shake and one-third in the second shake (holding back a small amount of touch up work). After the first shake, the surface floated. Do not trowel between applications. Apply the second shake perpendicular to the first application in a uniform manner. Float in and trowel to the final finish desired. Install construction or control joints as soon as possible. Care should be taken during hard steel troweling to prevent trowel burns, especially at tooled joints and edges. Coverage Varies wildly based on application method. Question: How Much Color Hardener Should I Use? Answer: The generic application method described above is used to achieve the colors listed on the color chart, however this can be varied to get deeper and richer tones as desired. SureCrete’s TruCast™ concrete colored hardener is premixed, dry-shake, colored powder concrete hardener. It is used for coloring and hardening freshly placed concrete flat work to produce an aesthetically pleasing pavement with a surface that is substantially harder and more wear-resistant than regular concrete. This coloring method can be utilized for concrete applications (salt finishes, broom finishes, rotary finishes, etc. ), as well as vertical surfaces and other types of architectural concrete.